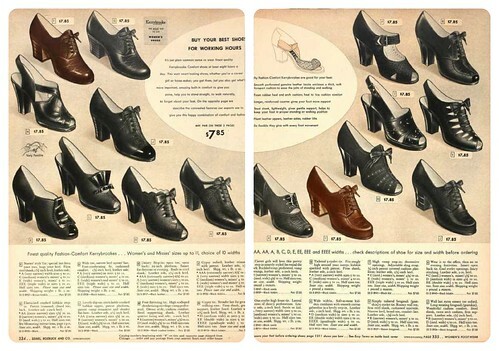 Here are a few lovely items from the 1948 Sears Roebuck Catalog. 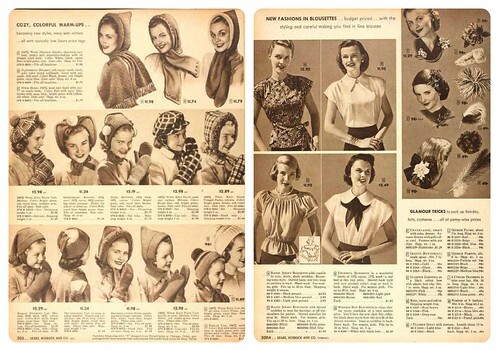 I was a bit obsessed with 1948 for the past month and meant to share some of these between construction posts, but the sewing took precedence! 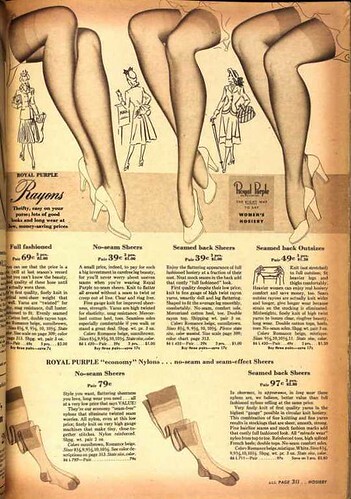 And while these items are certainly not what I would consider to be the height of fashion or evening elegance, I would not mind having some of these lovelies in my closet! Some of these bedroom slippers are gorgeous, and some of them look like something I could buy in Sears. And even more exquisite and over the top choices! 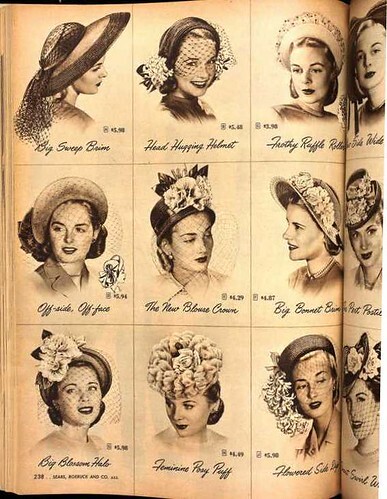 Did these ladies have an entire closet dedicated to hats and hatboxes?! These purses are adorable! Although I am not sure how I feel about "suede-like plastics." What do you suppose that material feels like? 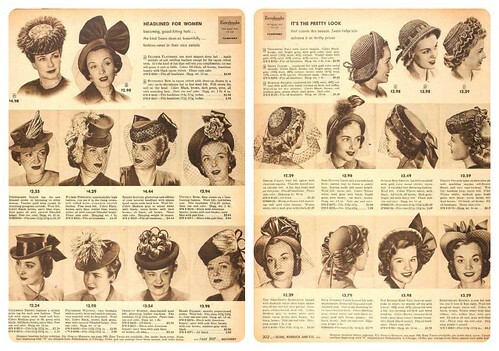 Love it all but mostly all those hats with the veiling. Veiling is so seductive, IMO. So many beautiful things! I wouldn´t mind owning some of the hats and shoes. Suede-like plastic sounds like pastic coated with fluffy paint. Like it´s used for some toys. You know, the noses that are plastic but look and feel like fabric (kind of like felt) and rub off over time. Would be my guess. Or maybe plastic is just a synonyme for man made? That is a good point - plastic could mean something different than what I am thinking of. 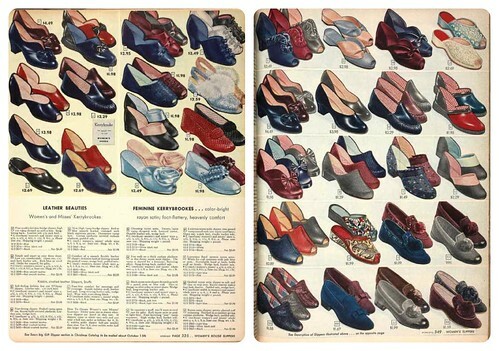 You lucky, lucky duck you, I've long hoped to find a 40s or 50s Sears catalog, too, but haven't yet (the ones for sale online are always beyond my budget, it seems). Thank you very much for sharing these fantastic fashion filled pages with us. 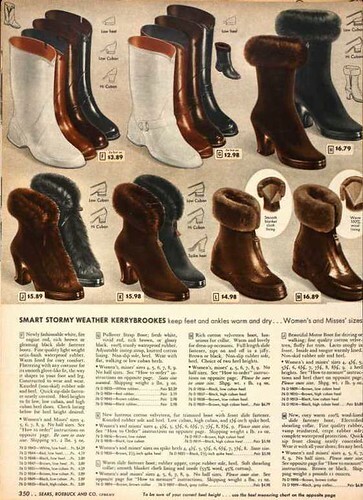 I especially like all the hats, the peachy-pink hued undergarments and the page of winter footwear. 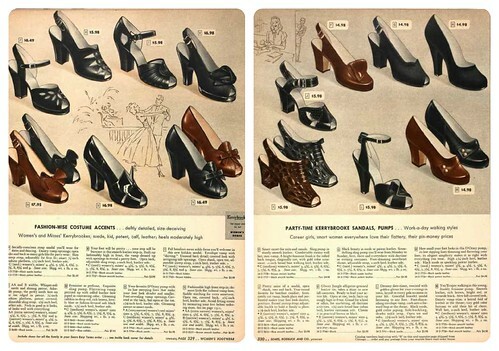 I love the hats and shoes and I'd love to see a suede-like plastic purse in person. Sounds interesting. 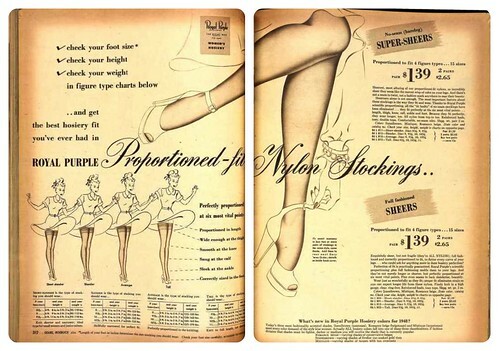 And I'd love to find some old store catalogs like Sears or Montgomery Wards to drool over. At an estate sale this weekend, I got 2 store counter catalogs of sewing patterns-an Advance from 1963 and a Simplicity from 1964. I've already spent more than a few hours looking through them. 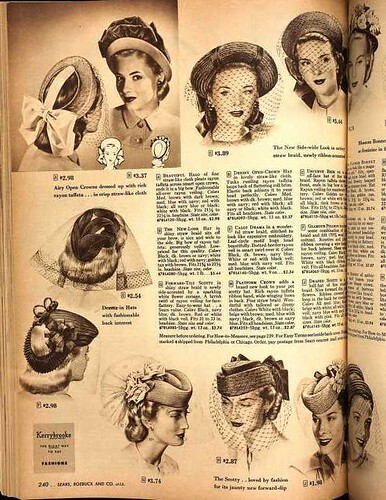 Checking out the old patterns is so fun and I own some of the patterns shown in the Simplicity catalog. Oh, this is just painful to look at! 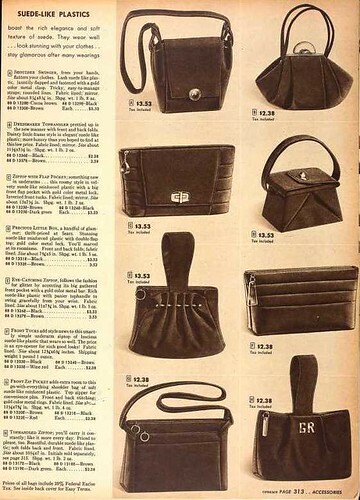 I so wish this was some magic/Twilight Zone catalog in which I could still order from it! I feel your pain, soul sister! Now I’ve Gone and Done It!